REDUCED!!! 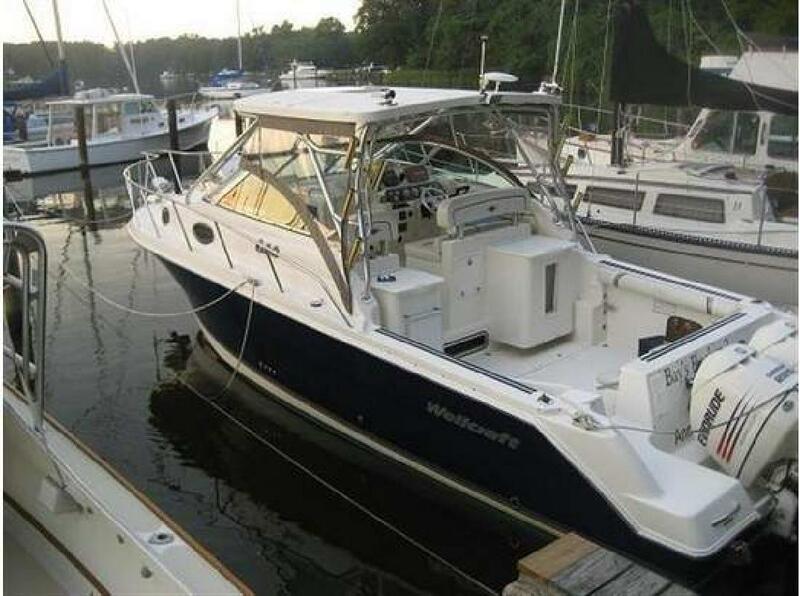 This is a 2003 Wellcraft 290 Coastal powered by twin Evinrude 225 HP Outboards! Boat is in excellent condition and ready for its new owner. Excellent Condition!! NEW Garmin Electronics with NEW thru hull transducer, NEW port side lower unit, updated interior, navy blue hull, incredibly clean? DESCRIPTION: Navy Blue Hull, fast and economical with the twin 225 HP Evinrudes, Garmin electronics, New interior, new vinyl, spotless! Great offshore fishing boat, and perfect as a family cruiser. Sleeps 6 total - bow cabin, aft cabin and dual bunks. Excellent condition, fun, and easy to use! Professionally maintained, owner MOVING UP and must sell!! !